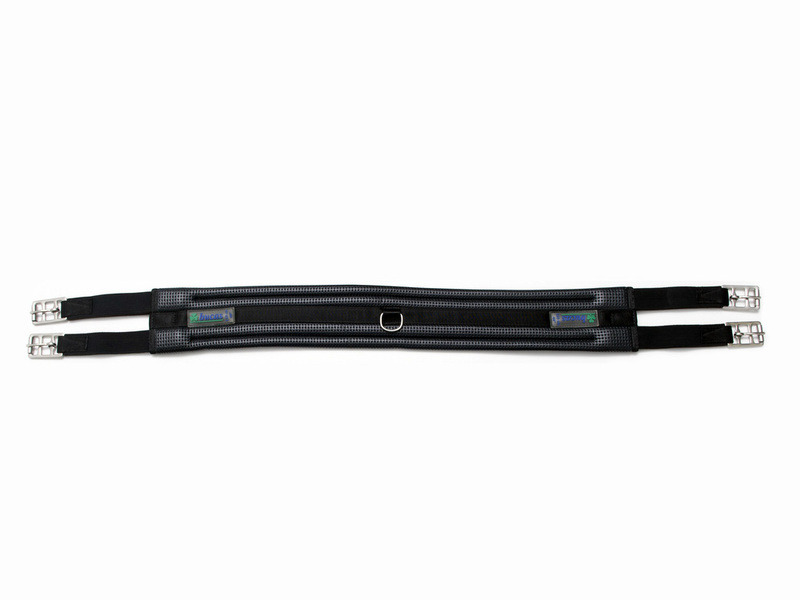 The Connect girth is designed to ensure that the pressure is evenly distributed across the horse’s trunk. D-Ring for any training aids to be attached. The Bucas Connect all-purpose girth is made of high quality neoprene, easily cleaned with soap and sponge. It offers excellent comfort, strength and stability. Available in black and brown. Maat: 80 cm, 85 cm, 90 cm, 95 cm, 100 cm, 105 cm, 110 cm, 115 cm, 120 cm, 125 cm, 130 cm, 135 cm, 140 cm, 145 cm & 150 cm.